Come Here To Me! | Dublin Life & Culture. May Day 1919 poster. From John Cunningham’s Mayday! Galway and the origins of International Labour Day. “Dublin, like three-fourths of Ireland, has spent an absolutely idle day” was one account of May Day here a century ago. While 1919 has entered our collective memory as the beginning of the War of Independence, with the first shots of the conflict fired at Tipperary’s Soloheadbeg in January, on the ground the early months of the year were defined more by industrial unrest. A ‘general strike’ against British militiarism in Limerick, which the press would label a Soviet, coupled with the remarkable engineering strike in Belfast demanding a 44 hour working week, gave the authorities plenty to worry about. There was no unanimity on the question of Ireland’s future with the tens of thousands of workers who engaged in such acts of industrial unrest across the island. In Limerick, the death of a local Irish Volunteer, Robert Byrne, was the catalyst for the unrest there. In Belfast, by comparison, many of the workers at the centre of the agitation regarded themselves as Unionists. When asked by a Belfast striker if he was loyal to the King and the Union, the Scottish communist leader Willie Gallacher replied, “That’s a stupid question. I am a revolutionary and my only loyalty is to the working class”. Things were happening on the Clydeside too, were tanks were deployed on the streets against Scottish workers seeking a 40 hour working week. May Day 1919 witnessed in excess of 100,000 people take to the streets of Glasgow, addressed by a variety of speakers that included Countess Markievicz, now an elected M.P. Along with ‘The Red Flag’, ‘The Soldier’s Song’ was sung with gusto, and tricolours were carried amidst the red flags. In Dublin there were no trams, no North Wall sailings, no theatres, no cinemas, no electric power, no taxis, no restaurants or licensed houses open, and no trains, except the Great Northern Railway. In Dublin, there were no radical demonstrations. Here, military proclamations outlawed any such gatherings, though as the Trade Union Congress Annual Report for the year would note, “In Dublin, where the military proclamation prohibiting public meetings and processions held sway, the workers had to be content with their silent, workless demonstration.” The Evening Herald carried disgruntled letters from members of the public (all anonymous, and thus potentially fake) pouring scorn on the workers for not going to work. For some Dublin workers, there was punishment for their involvement in the day. Shackleton’s Mill, Lucan, “locked out” some fifty men who had participated in the May Day strike. Shackleton’s had been proactive supporters of William Martin Murphy’s policy during the 1913 Lockout, and the premises would later be attacked by the Irish Citizen Army for breaking the ‘Belfast Boycott’ which was in place. We cannot afford to make many mistakes. The workers of Ireland have shown they are responsive to the call, and this responsiveness on the part of the rank and file makes the responsibility of the leaders the greater. On all sides at the moment we see industrial unrest. And can we wonder at this. We have for the past four years been warning our people that as sure as morning the industrial war would follow the cessation of hostilities on the Continent. Our forecast has proved but too true. In recent weeks, a new plaque was unveiled on Pearse Street Garda Station, remembering a night of espionage a century ago this very month. Working away from their base in the Great Brunswick Street station of the Dublin Metropolitan Police (today Pearse Street Garda Station), the job of the ‘G Men’ was to infiltrate and incapacitate radical political organisations in Dublin. Their ‘Movement of Extremist’ files today make for compelling reading, showing that republicans, socialists, suffrage campaigners and others deemed politically subversive were closely monitored as they went about their political and personal lives. Most people know what a ‘G Man’ means. He is a person, nearly always of Irish origin, who volunteers to look after Irish Nationalists. He is a secret policeman, though in most cases his secret is an obvious one, owing to the size of his general appearance. The members of the ‘G’ Department are countless. They shadow Nationalists, and report the names of those who associate with Nationalists. They follow men and inquire at the houses which they have visited. They travel on railways and report conversations. And yet, the system could be crippled. Changing political sympathies of men working within state intelligence, as well as interpersonal relationships (impossible to avoid in such a small society) meant that ‘G’ Men and others working in state intelligence could become double agents. There was also a ruthlessness in the Republican movement post 1916, and a determination to strike at intelligence operatives, that transformed the ‘G Men’ from a cocky body of men who had the confidence to literally walk through nationalist gatherings and commemorations in the pre-1916 world, into a body which feared for their lives every time they stepped into the street. Michael Collins, head of the IRA’s Intelligence campaign, understood this perfectly, maintaining that “Our only way to carry on the fight was by organised and bold guerilla warfare. But this in itself was not enough. England could always reinforce her army. To paralyse the British machine it was necessary to strike at individuals outside the ranks of the military.” Soldiers could be replaced easily. When an Intelligence officer was removed from the picture, it was more difficult for a man to fill those boots. The carved heads of DMP men still appear in the stonework of Pearse Street Garda Station. …deep down in the people’s hearts burned strongly a bitter hatred of English rule with its soldiers, police, informers, landlords and followers, who composed ‘England’s Faithful Garrison’. We of the Rising generation hated the very name of England, her shires, towns and rivers, and that hatred was intense before we had yet read a line of Irish history. In the Depot we all fearlessly and openly discussed the national question and it was the first place I heard the song ‘The Men of the West’. The majority of us expressed strong national views but there was, to our surprise, a small minority whose views were diametrically opposed to national aspirations. However, we felt that in the event of police opposition to Home Rule, as was forecast, we have no small say in enforcing the national will no matter who would be against us. The same key opened the political office and opened the secret small room, built into the wall, which contained the records. I gave Michael Collins and Seán Nunan the candles and, getting them to close the door fairly tightly, I left them to carry on their investigation. Mere days passed before IRA men on the streets were accosting ‘G’ Men, warning them against zeal in carrying out their duties. Just as the ‘G’ Men gathered files on Irish republicans, Collins and his team would built a counter-intelligence network that did likewise.C.S Andrews would go as far as to maintain that “for the first time in the history of separatism we Irish had a better intelligence service than the British. This was Michael Collins’ great achievement”. In late July 1919, Detective Sergeant Smith, known as ‘The Dog Smith’, was gunned down on the orders of Michael Collins. Sergeant Daniel Hoey would be killed outside ‘G’ Division Headquarters at Great Brunswick Street in September. Broy would remain deeply important to the Collins intelligence operation, often leaving documents for him with the librarian at the Capel Street Library on Dublin’s northside. When detected, he would be imprisoned, and released after the Truce. His policing days were far from over, with Broy later serving as Commissioner of the Gardaí. The intelligence body formed on his watch, becoming known popularly as the ‘Broy Harriers’, would continue to monitor the ‘Movement of Extremists’ in a new Ireland. Ireland in the 1960s and 1970s was a very homogeneous and white society but there were a handful of groundbreaking bands that included both black and white musicians. This a work in progress. 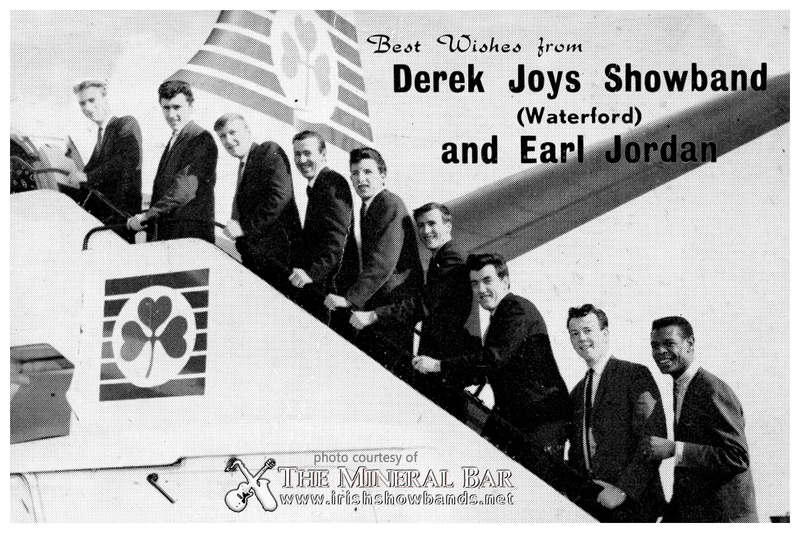 In late 1963, black American singer Earl Jordan joined the Waterford showband group The Derek Joys. Jordan, who was born in Elmore, Alabama, had served with the U.S. Army before moving to England where he lived for five years. 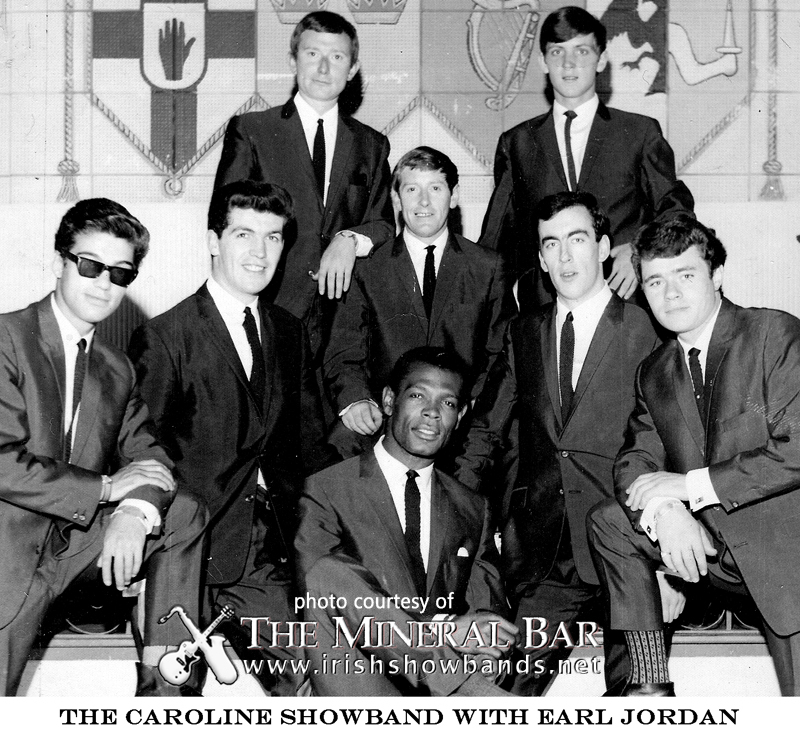 Jordan left the The Derek Joys after about a year to join the newly formed Caroline Showband in December 1964. The band toured for two years together before Jordan made an exit. In the early 1970s, he sang on the Green Bullfrog album, joined the German group Les Humphries Singers and released two solo singles. Jordan returned to Dublin for a series of gigs in the 1978-79 on the back of two further solo singles. 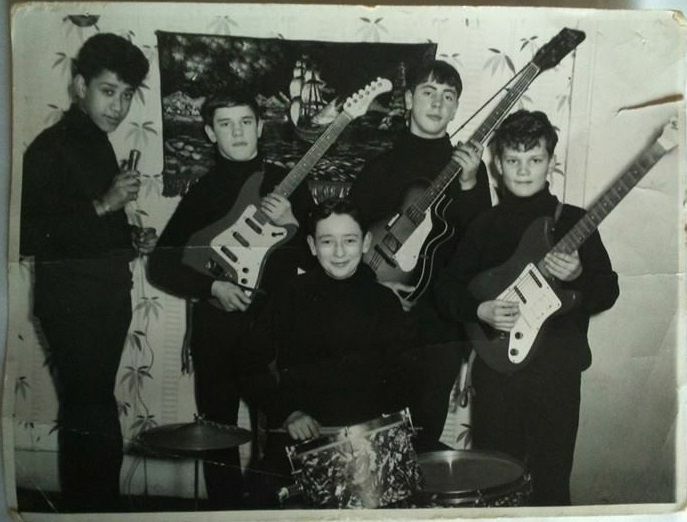 The Black Eagles, who formed in 1964, were made up of a group of teenagers from Crumlin who played soul, r&b and pop covers at local youth clubs. There are no audio recordings but a silent home video of the band from 1965 has made it online. Vocalist Phil Lynott (1949-1986) was born in England, went to primary school in Manchester and moved Dublin to live with his maternal grandparents in Leighlin Road, Crumlin at the age of about eight. Phil’s father Cecil Parris, was from Georgetown, British Guiana in the Caribbean. The other members of the band were Alan Sinclair (lead guitar), Frankie Smyth (rhythm guitar), Danny Smith (bass) and Brian Downey (drums). Phil later played with Skid Row (1967-68 line up) and fronted Thin Lizzy (1969–1983 line up). The Philosophers were a successful mid 1960s beat-group in Galway who added a brass section and played the showbands’ circuit from the late 1960s onwards. 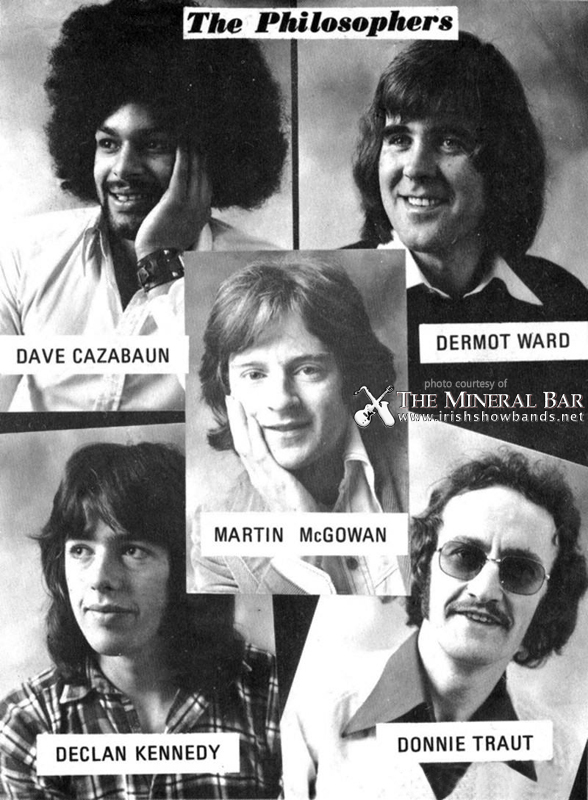 Dave Cazabon, son of Trinidad parents who moved to Galway in the 1950s, joined the band as bass player in 1973. His brother Mike, who used the stage name Samba, became lead vocalist around 1974. The band released a number of singles as Samba and the Philosophers. When Mike left the band, his brother Gerry (d. 1996) took over as lead vocalist. A fourth brother Richard (d. 2010) played in a Galway Thin Lizzy cover band called White Ivy/Nightrider in the late 1970s and early 1980s. Following Van Morrison’s departure from Them, band members Tim Armstrong, Kenny McDowell and Buddy Clark re-united in 1969 in Chicago as Truth. They drafted in local drummer Renaldo Smith (known as Reno Smith or Rene Smith) who had previously played with Baby Huey & the Babysitters. The band played together in Ireland for a couple of years before calling it a day. Reno Smith returned to Dublin in 1973 to join the band Chips who he played with for about a year. This article claims that he later played with with funk group Mother’s Finest, various house bands at Chicago blues and soul clubs including the Kingston Mines, and then relocated to Tucson, Arizona where he continued to play blues and R&B. 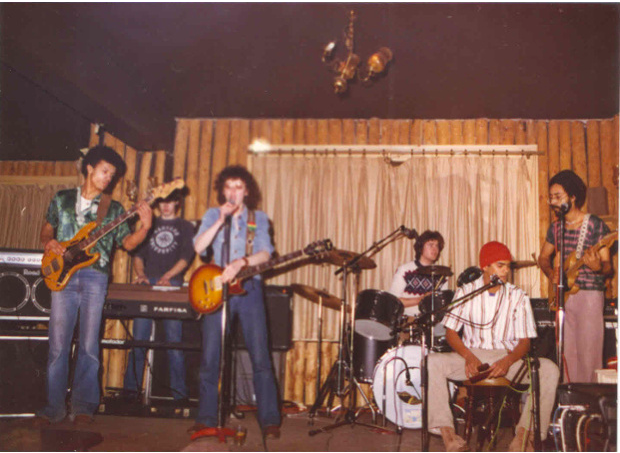 The Chicken Fisher Band was formed in 1978 by Martin ‘Chicken’ Fischer, born in London of Swiss parents, guitarist Dave Prim (d. 2018) from Kilkenny and drummer John Forbes of London-Jamaican heritage. In 1979, John Forbes joined soul funk rockers Stagalee who had started life in Tralee, County Kerry three years previously. 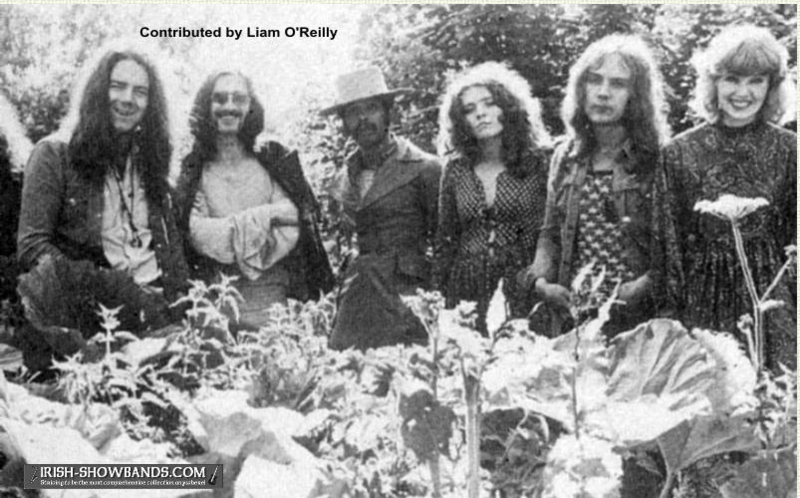 Stagalees’ 1979 line-up featured Colin Tully (sax/keyboards), Honor Heffernan (vocals), Errol Walsh (guitar/vocals), James Delaney (keyboards) and Tommy Moore (bass/vocals). A contemporary newspaper article stated that John Forbes had recorded two albums with a German group called Black Symphony but I can’t find anymore information online. 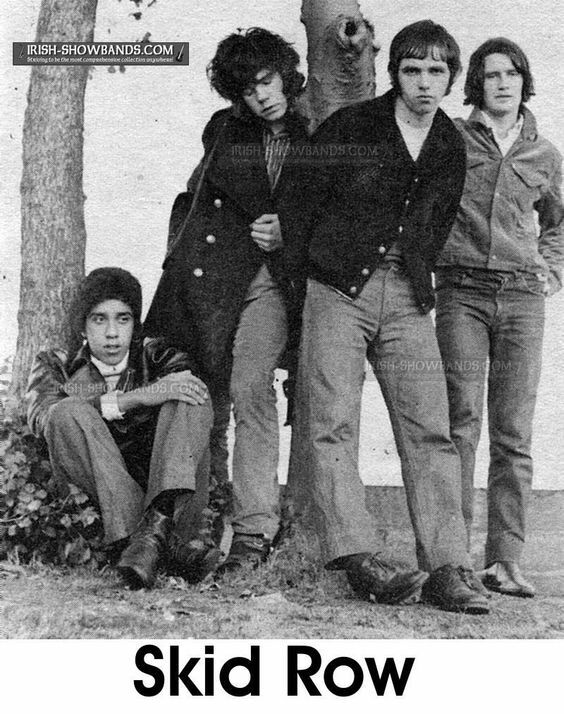 Zebra, Ireland’s first reggae band, was formed in Dublin in early 1979 by Steve Rekab (guitarist), Bernard Rangel (percussion), Leo Mallon (drums), Brian Narty (bass), Norman Morrow (keyboards) and Pete Deane (vocals). 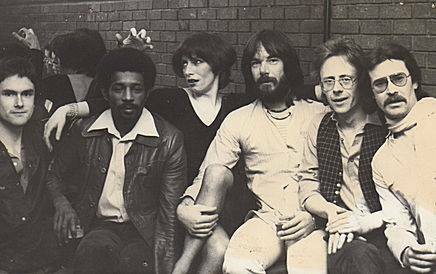 This line up recorded the single Repression which was released on Terri Hooley’s ‘Good Vibrations’ label in July 1979. It featured Marion Woods and Niamh McGovern on backing vocals, was produced by music journalist Ross Fitzsimons and engineered by Johnny Byrne (d. 1997). The band recorded their song Silent Partners for the compilation ‘Just for Kicks‘ which was released in December 1979. It features the band’s new drummer Mark Thyme who had replaced Leo Mallon (d. 1985). This song was re-released on All City records compilation album ‘Buntús Rince‘ in April 2019. Bernard Rangel was born in Aden, South Yemen of Indian parents from Goa. He went to secondary school in Blackrock College and studied Economics, History and Psychology in Trinity College Dublin. Steve Rekab was born in Freetown, Sierra Leone on the southwest coast of West Africa. Himself and his brother Joe were star rugby players for Blackrock College in the early 1970s. Brian Nartey’s family background was Jamaican. Am I missing any bands? Leave a comment or drop me an email. Thanks to Francis K. (irish-showbands.com), Stan Erraught, Rock Roots and John Byrne for comments and info. I went to the Mambo Club dance in Palm Court Ballroom last Monday night. Yes! The hall was packed: 100% Teddy Boys, and, I suppose, Teddy Girls. I don’t know if the girls have any particular name, though I could think of a few names which might suit!…The dancing was almost 100% jiving. It’s likely that on the night Cornelius got himself all hot and bothered by the sight of young people enjoying themselves, Earl Gill was on the stage. By 1955, the Palm Court stage was firmly his. At the exterior of Neary’s pub, a plaque honours the legendary trumpet-player and bandleader Earl Gill. It has clearly gone on something of an adventure, proclaiming that Gill performed in “this theatre” over many years. While I’m not sure just how it ended up where it has, it honours an figure of great importance in the social and entertainment history of the immediate area. Gill fronted the resident dance band of the Shelbourne Hotel for over four decades, as well as packing various bars and hotels across the inner-city. Born in Dublin’s East Wall in October 1932, Gill came from good musical stock. His father was a popular pianist at the Queen’s Theatre, while his mother played the cello. His own intention was to follow his father as a pianist, however an accident at the tender age of 12 resulted in the loss of two fingers. Earl switched his musical attention to the trumpet, mastering the instrument by the age of 15, when he was performing almost nightly in the Olympia Theatre. In 1954, a young Gill was praised in the Herald as “one of the finest trumpeters in the country, combining a high degree of musical skill with a sparking style of presentation.” By then, Gill was performing at the Gresham on a regular basis, considered the finest dancing venue in the city. In the pre-Showband world, dance bands packed in the crowds. Eleanor O’Leary traces the rise of the dancehall scene in her study Youth and Popular Culture in 1950s Ireland, noting that Dublin had the pulling power to attract stars like Frankie Laine, Bill Hailey, Tommy Steele, Johnny Ray and Vic Lewis. We are in the throes of a transition. Ballroom proprietors who have long frowned on jive and its unconventional offshoots have now begun to accept it for what it is worth. One Dublin establishment, the Palm Court, which is the babe of our luxury night spots, makes no secret of the fact that a new policy has been launched, to encourage rather than eradicate the modern trend. Here, bandleader Earl Gill, who blows a hotter trumpet than most musicians of his age, has been playing to packed houses. He was the first superstar single name showband leader. He bridged the gap between the classy, brass-led, big band style and the brash, showy style of the thousands of showbands trekking up and down the roads of Ireland every night of the week. The band had a remarkable fourteen charting singles between 1966 and 1973, becoming one of Ireland’s leading showbands in the process. He returned to the Shelbourne in the aftermath of the break up of the band, and remained an active and touring musician until his retirement in 2012, always in demand and always respected. As a producer, he worked on a number of records for The Dubliners, with whom he formed a working relationship and friendship. I’m not sure how his plaque ended up where it did, but I’m glad he has one. Dublin, at her core, is a Georgian city. Despite this, she is home to a number of very impressive Victorian structures which we tend to take for granted. Personal favourites include the Georges Street Arcade, the Chapel Royal of Dublin Castle and the Commercial Union building on the corner of College Green and Grafton Street. An impressive sandstone building, it stands out in stark contrast to a lot of the Georgian architecture around it. Most Dubs probably know it as the ‘Tourism Office’ now, or as the home of the Irish Whiskey Museum. Passing it recently, I noticed the coats of arms of two cities in the beautiful frontage of the building, showing Dublin and London. Dublin’s coat of arms depicts three burning castles, with an official city history noting “the flames symbolise zeal; here they represent the zeal of the citizens in the defence of Dublin.” Our rather unfortunate city motto, linking the obedience of citizens to happiness, doesn’t feature on College Green. Alongside it is the coat of arms of London, consisting of a shield featuring the cross of St George, as well as an upright sword, symbol of the martyrdom of Saint Paul. Commercial Union Building, College Green. In the Victorian capital, as Michael Barry notes, “the area around Dame Street and College Green became the commercial and financial heart of Victorian Dublin. Here, the buildings were of import and substance, usually with fine detailing and often a touch of fantasy.” Almost neighbouring the Commercial Union buildings, the old National Bank (now Abercrombie and Fitch) has a striking depicting of Érin herself over the building, alongside the patriotic symbols of a harp and an Irish wolfhound. Dublin’s economic fortunes were linked to London and the Empire, and while Érin stands tall and defiant, the Commercial Union building links the two capitals. Dating from the 1880s, the Commercial Union Assurance Co. building is the work of Sir Thomas Newenham Deane, assisted by his son, Thomas Manly Deane. Born in Cork, Thomas Newenham Deane worked on a number of celebrated Dublin buildings, including the Trinity College Dublin Museum, Kildare Street Club (home to billiard playing monkeys) and the designs of the National Museum and National Library. The building is best viewed from across the street, and standing at the gates of Trinity College Dublin you can really appreciate its scale and detail, including its copper-green turret. From the vantage point of Trinity College Dublin, this early twentieth century image captured the building bedecked for a royal occasion. The two city coat of arms can clearly be seen too, above a curious crowd gazing across at the university. The building today houses the James Fox Cigar and Whiskey Store, and some sources refer to the corner in times gone by as Fox’s Corner owing to this. With so much recent discussion and debate over the future of College Green, be sure to stop next time you’re passing through to appreciate some of its architectural gems you may have missed.